Climate change didn’t creep up on Roderick King. It sloshed at him. About eight years ago, Dr. King was living in Miami Beach’s South Beach area, which is a lovely place, although these days it’s sometimes partly underwater. Climate change’s rising sea levels regularly combine with peak high tides to shove the Atlantic up the storm sewers and onto streets. “I was walking with the kids in the stroller, and I noticed all the corners were flooded and it didn’t rain,” Dr. King recalls. Dr. King, a pediatrician, is active in the public health arena, and he began to investigate. 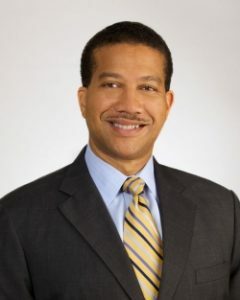 Dr. King, chief executive officer of the Florida Institute for Health Innovation, also is director and assistant dean for public health education in the University of Miami Miller School of Medicine. He sees climate change as a very serious public health issue, notably in South Florida. For instance, much of Miami Beach is sand that was dredged from under the water and piled high enough to put buildings on. But what was high enough back then may not be not now, especially in continually developing or redeveloping areas where tourists and snowbirds congregate. Dr. King says some civic leaders realize they have a problem and are attempting mitigation – for instance, raising streets above current flood levels. Of course, raising streets doesn’t help people with flooded ground floors, so some residents are moving to higher land. Trouble is, the higher areas, more inland, are where the poorer people live, and studies have indicated some get forced out as gentrifiers come in. And this is not a problem you can hide from. Dr. King notes that, when a street is flooded, emergency equipment has a hard time getting down it, and South Floridians, notably seniors, need ambulances. Meanwhile, global warming makes health problems worse. Rising temperatures and humidity contribute to asthma exacerbations. More severe heat leads to more heat injuries and heart conditions, especially among residents who can’t afford to run their air conditioner enough – if they have AC, Dr. King says. As for Dr. King, he still lives in Miami Beach, although in a less flood-prone area. And he’s still concerned that some people don’t accept the reality of climate change. He points out that sticking your head in the sand is a poor strategy when the sand goes underwater. What’s needed, he says, is more collaboration.